Many brides like to get a jump-start on choosing flowers for their wedding, so we thought we’d offer some suggestions for great flowers for a fall wedding. 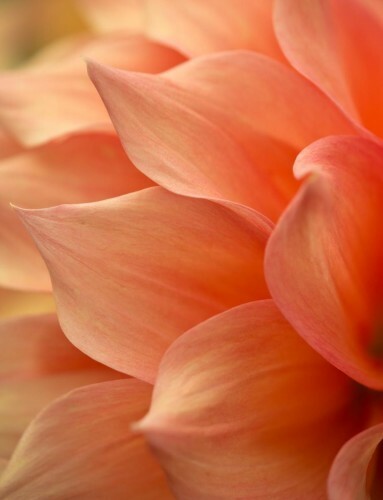 Since fall just passed, we still have memories of the season’s prettiest blooms in our head. We’re vividly remembering warm orange and yellow-hued flowers like daisies and carnations. And, we’re envisioning these colors, plus others like lilies and orchids in shades of red and white, as stunning flowers for a fall wedding. If you’re planning a wedding for next fall and are starting to gather ideas for your flowers, we think you should consider the following combinations of blooms. Fall is known as a season of abundance, so why not show off the bounty of the season with a variety of warm-colored seasonal blooms in big bouquets. Put together arrangements with many pretty fall flowers, such as hydrangea, garden roses, dahlias, calla lilies, and Asiatic lilies. You can also convey the abundance of fall by choosing warm-colored flowers that originate in many parts of the world. Combine them with unconventional, yet still beautiful, plants that are not necessarily flowers but still gorgeous plants. We think a mix of kangaroo paws, chili peppers, ornamental cabbage, echeveria, passiflora vine, and viburnum berries will make a welcoming and special statement in a bouquet, table arrangement, or boutonniere. For a casual bouquet displaying fall’s best colors and blooms, put together a garden arrangement of cheerful and inviting dahlias, wildflowers, ranunculus, and yellow or orange daisies. Pair them with seasonal seeded eucalyptus. All of these floral arrangement and bouquet ideas will surely give you a stunning display for your fall wedding, but they’re simply suggestions you can run with. As you plan for your wedding flowers, think about choosing blooms that might mean something to you and your future spouse. And, then pick fall-colored versions of these for your table, bouquets, and other floral arrangements. If you have any suggestions for other pretty fall wedding flowers, we’d love to hear from you in the comments below. Many brides like to get a jump-start on choosing flowers for their wedding, so we thought we’d offer some suggestions for great flowers for a fall wedding. Since fall just passed, we still have memories of the season’s prettiest blooms in our head.We’re vividly remembering warm orange and yellow-hued flowers like daisies and carnations. And, we’re envisioning these colors, plus others like lilies and orchids in shades of red and white, as stunning flowers for a fall wedding.